Barista Michael Breach brings us this Pizza Latte. It looks delicious. Will it taste like a pizza? Probably not. 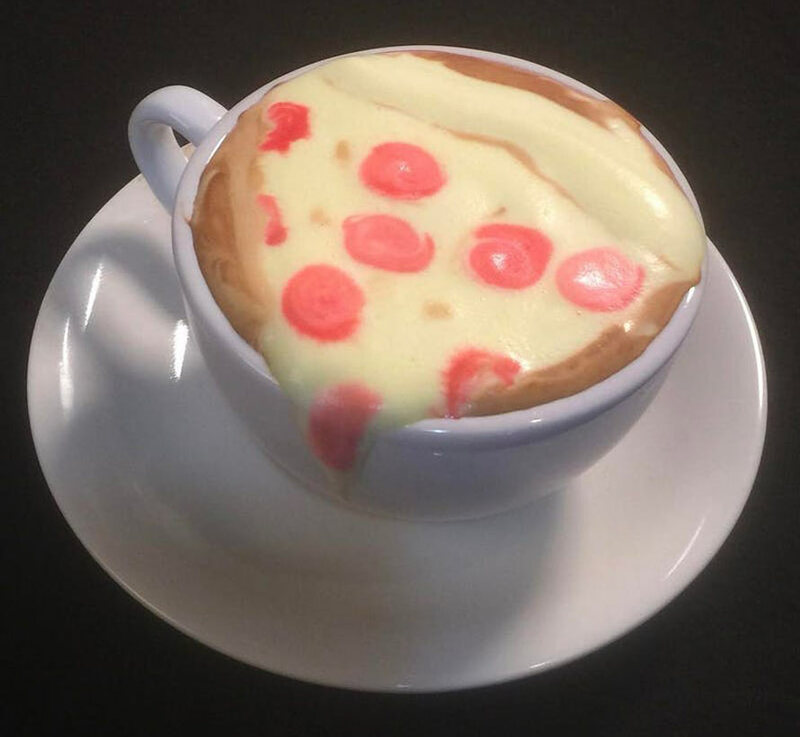 Would you even want your coffee to taste like pizza? Because I sure would! I want everything to taste like pizza.